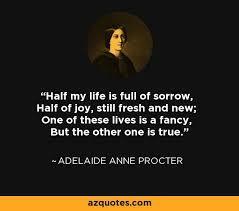 Adelaide Procter was known, by many in the literary world, as one of the most popular poets of Victorian times. Indeed, it is said that she was Queen Victoria’s favourite poet and many of her verses were set to music, often as hymns. She lived a short but full life, exhibiting philanthropic qualities throughout. She spent a lot of time with homeless and “fallen” women. 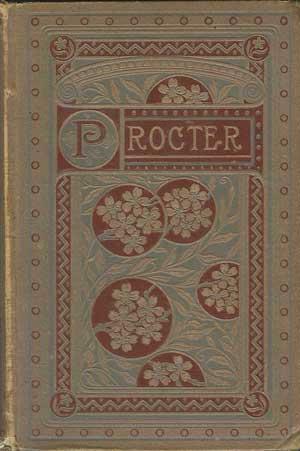 19th century England was not a good place for women to make their views public but Miss Procter was very much a voice for Victorian women in general. She started writing poetry as a teenager, her first poem being Ministering Angels which was published in Heath’s Book of Beauty in 1843. She then submitted work to Charles Dickens hoping for publication in his own periodicals All the Year Round and Household Words. To ensure that he showed her no favouritism, being a friend of her father’s, she used the pseudonym “Mary Berwick”. 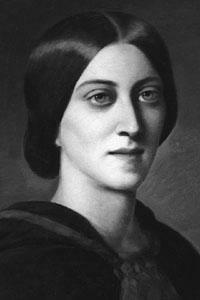 Dickens published great quantities of her work, most of which was eventually published in her book Legends and Lyrics. Although she had grown up in an extremely privileged home she soon became aware of the poverty and suffering beyond the leafy squares of Bloomsbury. 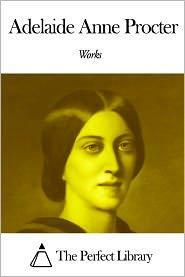 She converted to Roman Catholicism in 1851 and it was this, and what she saw around her, that heavily influenced her poetry. She found publishing outlets not only in Britain but also in Germany and the United States. 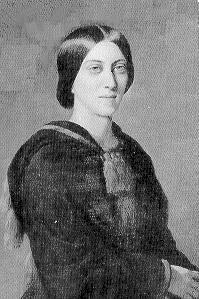 The poet Coventry Patmore placed her very highly amongst Victorian poets and yet, by the 20th century, her popularity had diminished considerably. 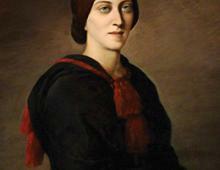 Procter was a highly intelligent woman who took up the study of languages with ease. She was fluent in German, French and Italian and had a tendency to move quickly on to new subjects once she had mastered something. She had no time for marriage, devoting much of her energy to feminist groups and the production of journals on behalf of women. 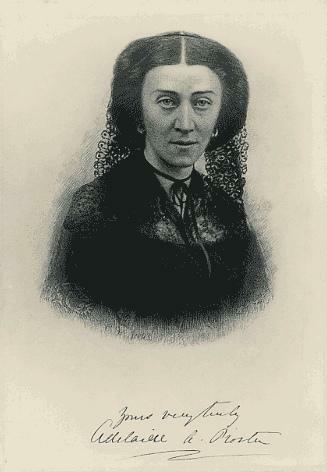 She edited Victoria Regia, the showpiece of the Victoria Press, which was described as “an explicitly feminist publishing venture”. 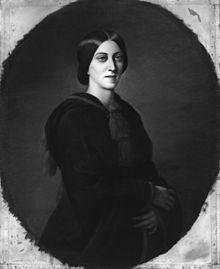 Some said she might have been a lesbian, possibly enjoying a relationship with one Matilda Hays, but she was, in fact, engaged to be married for a number of years. It could have been a result of her tireless work on behalf of suffering women but, in 1862, Adelaide’s health deteriorated rapidly. She was sent to Malvern Spa in an attempt to effect a cure, but nothing seemed to work. She contracted tuberculosis and was bed ridden for almost a year. 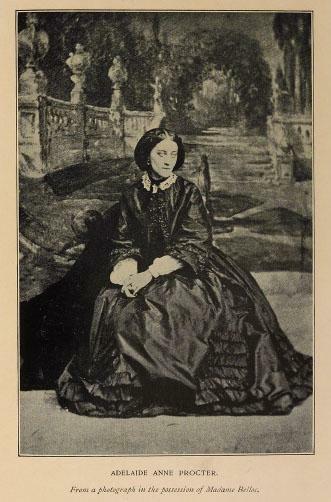 After some fifteen months of illness Adelaide Anne Procter died on the 3rd February 1864, aged just 38, and was buried in Kensal Green cemetery in London.